To understand more about learning engagement in math, it is key that we first look at how children learn. How Do Children Learn Math? Children are naturally curious and this compels them to discover. Like adults, children tend to be curious only in things that spark joy. With the right blend of exposure and fun to math concepts from young, they will pick up complex concepts very easily. At PlayFACTO School, engagement happens when they interact with any formmath activity. By gamifying math practices using manipulatives and activities, children find joy in learning these concepts. After the engagement stage, they internalise what was learnt or taught. All the skills and concepts are captured and stored in their short-term memory at this juncture. Through reflection, children consolidate their learning. At this point, if they find joy when learning math, they gain greater interest and curiosity. This takes them on a new cycle of greater engagement, learning and positive reflection. At our PlayFACTO Kids Programme, we use collaborative learning, activities and games to ensure that children are learning through application and problem solving in a real world context. This is far better than memorising math concepts as they are developing higher order thinking skills simultaneously. By focusing on attitudes like self-correction and confidence we find that children are more willing to try. Math is all about testing and justifying our thinking. This is best done when your child is able to correct their own answers and is confident to tackle problems. In our PlayFACTO Kids (for children 3 to 5) and PlayFACTO Monthly (for children 6 to 10), our students get to use manipulatives as part of their learning. It has been scientifically proven that manipulatives help children pick up math concepts more rapidly. The best part of it all is that they get to bring these manipulatives home. 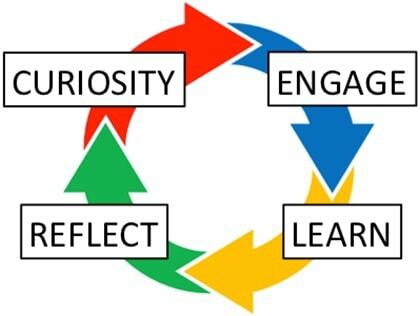 Through the use of these three strategies, we have been able to engage our students, resulting in higher levels of attention and commitment toward learning. Available at: Serangoon North, Tampines, West Coast, Punggol Oasis, East Coast and Bukit Timah.